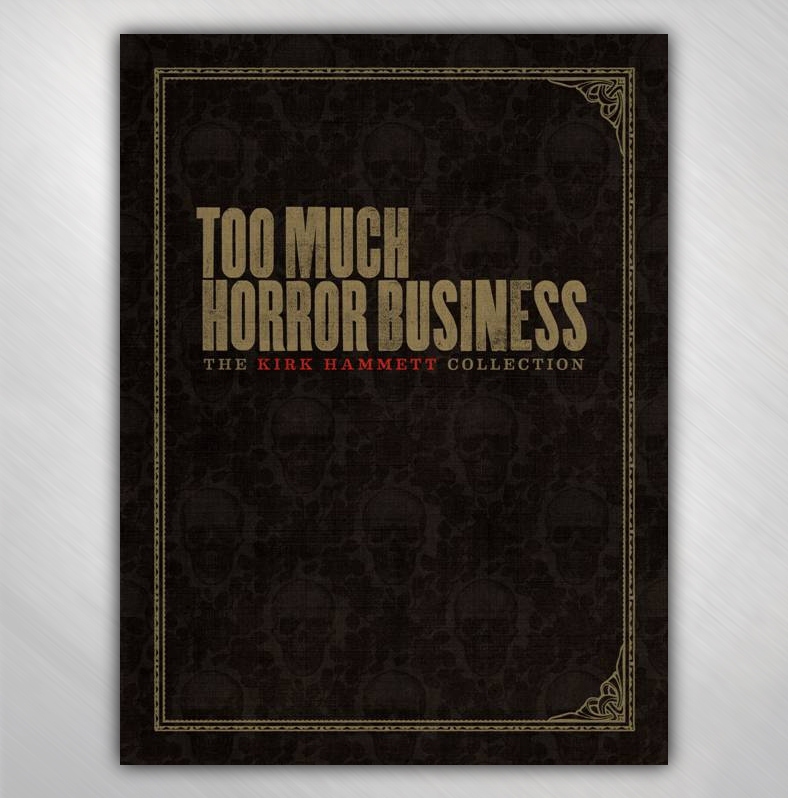 "Too Much Horror Business - The Kirk Hammett Collection"
Metallica’s Kirk Hammett announced today that he will publish his first book, Too Much Horror Business – The Kirk Hammett Collection, this October via Abrams Image. Documenting Kirk’s love of all things horror, and the legendary collection of horror memorabilia he has amassed over the years, TMHB is a stunning 228 page, hardback, large format coffee table book featuring well over 300 full color images from Kirk’s private collection and exclusive set photography by Mark Leialoha and Joe Gibbs. There will be three extensive conversations with writer Steffan Chirazi covering the importance of collecting in Hammett’s life from childhood, plus written captions by Kirk for many of the items displayed in the book.